BRETT FAVRE HAND SIGNED FOOTBALL IN BLACK. BRETT FAVRE HAND SIGNED FOOTBALL IN BLACK. THE FOOTBALL IS AN OFFICIAL NFL WILSON GAME BALL JUST LIKE THE ONES THE PROS USE ON THE FIELD. 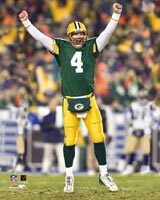 THE FOOTBALL COMES WITH A BRETT FAVRE CERTIFICATE OF AUTHENTICITY, BRETT FAVRE HOLOGRAMS, AND PICTURE OF BRETT SIGNING.